One of my goals for this year is to make sure that I share more of my jewelry with you, my readers. 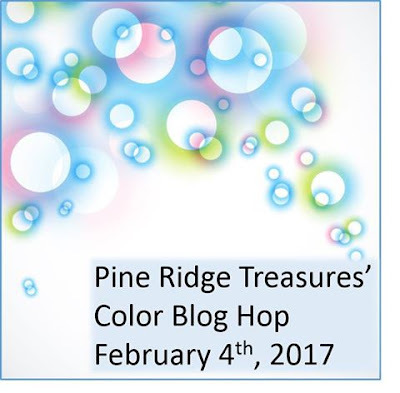 One of the ways to reach that goal is to participate in more jewelry blog hops. Those unfortunately are getting harder and harder to find as people just aren't taking the time to blog anymore. 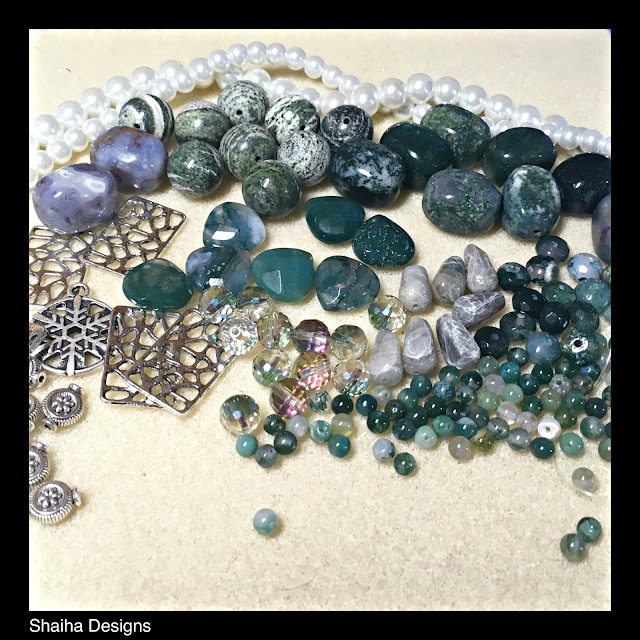 Now while I love Facebook and Instagram, my main reason for starting a blog in the first place still remains which is to get an archive of what I have been doing with my jewelry. So thank goodness for Lisa of Pine Ridge Treasures and her blog hops. The premise of this hop is that we were given a choice of colors and Lisa sent us out a little kit to create with. And as you can tell, I chose the color green and I also remembered to take a pic of the kit itself. Mine contained lots of green stones, ZnetShows glass pearls and crystals, and some silver beads and connectors. 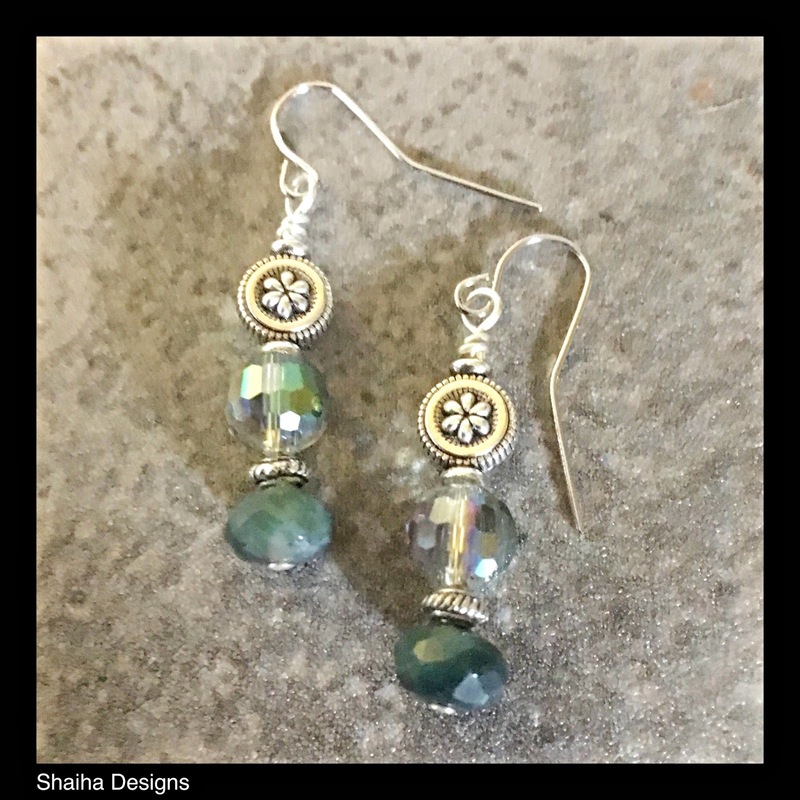 I started small and made some earrings using the crystals, the silver beads and green roundelles. These will be donated to Ears To You. Next up was my necklace. I have received quite a few of those silver connectors and never managed to find a use for them. 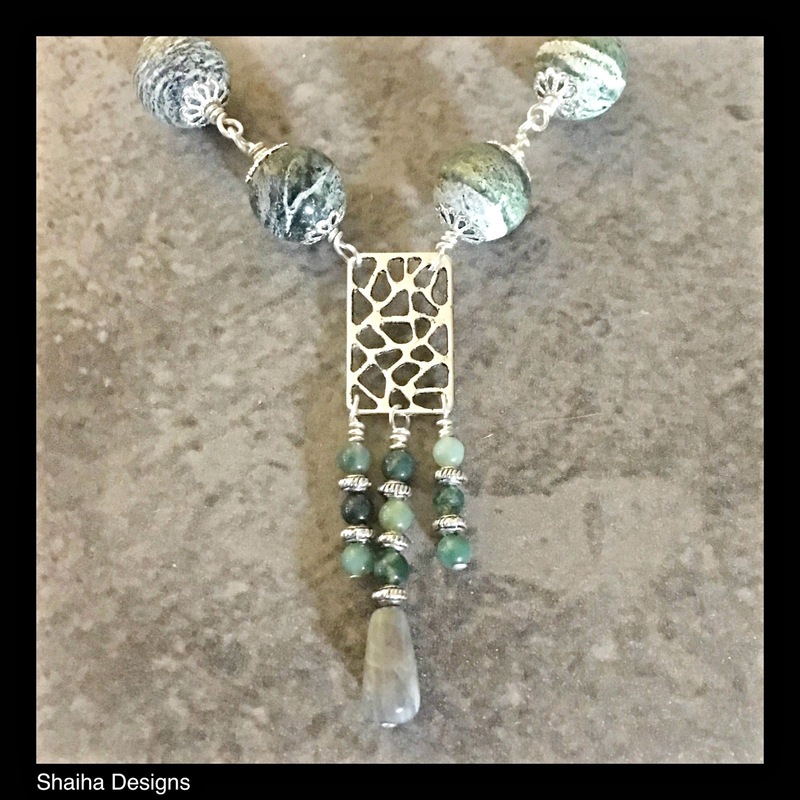 Well this time around, I was determined and used one for a focal along with some of the green beads. I really like how it turned out and I think that I will make a few more using different stones. I finished it up using some of the larger green and white stone beads along with some chain. I am rather pleased with the necklace though not so much with the picture. The stones wanted to blend with my background. Now that you have taken a look at what I came up with, be sure to check out the rest of the eye candy. We all received different kits so there is sure to be a variety of designs. Hi Shai, I really like what you did for the focal. That is a wonderful idea. Your necklace and earrings are beautiful. Beautiful design! I know what you mean about people blogging less, and hops almost disappearing. I have found it harder to make the time myself, but I try as I've met so many wonderful people through the blogosphere! Very nice use of the focal. Very pretty pieces. refreshing, cool, inviting ~ this is what your pieces said to me! Love them, Shaiha!!! Beautiful pieces, I love them. Love the colors you got to work with. Love the peices you made. I enjoy looking at the focals people come up with. Your necklace is lovely, and of course you won me over with the earrings! 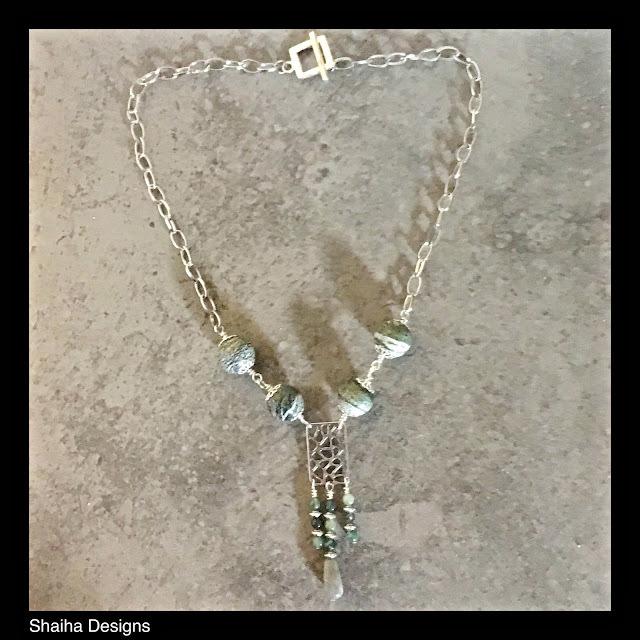 Great job on the lovely necklace, Shaiha! I really like how you used the connector. Your dangles look great also. Thanks for being in the hop! Love those earrings, and great use for the connector!